All quad-subdivision models, modelled in 3dsmax. Wireframes - Subdivision model with normalmap baked in 3dsmax, sculpdetail in Zbrush - Model with diffuse- & normalmap. Below Closer look on the subdivision model with 2048² normalmaps applied (normalmap baked in 3dsmax, sculpdetail in Zbrush). Below Closer look on the subdivision model with 2048² normal- and diffusemap applied (normalmap baked in 3dsmax, sculpdetail in Zbrush). 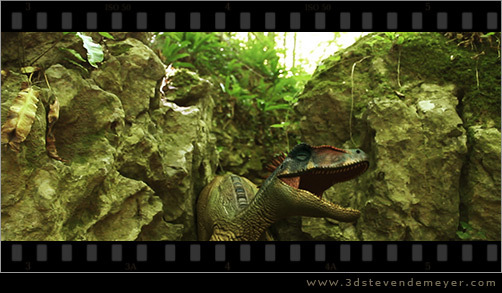 The diffuse color-scheme was partly based on the original 'velociraptor' appearance in JP3. 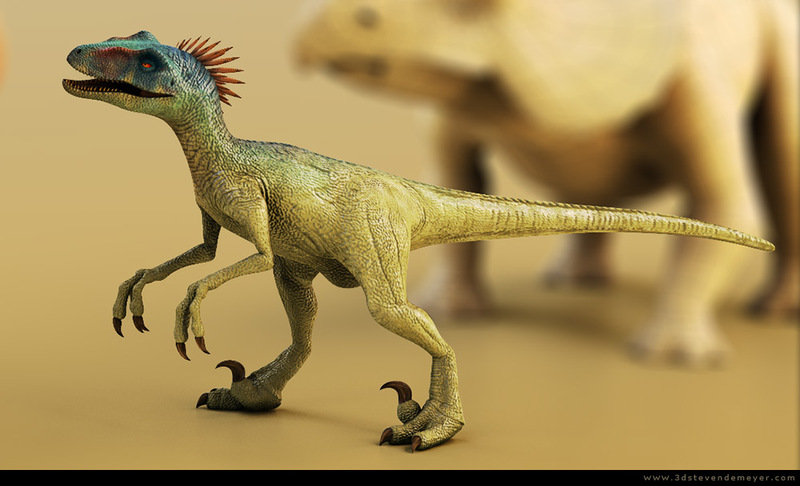 2048² textures 'Deinonychus' : UV-layout, diffuse- and normalmap (baked in 3dsmax). 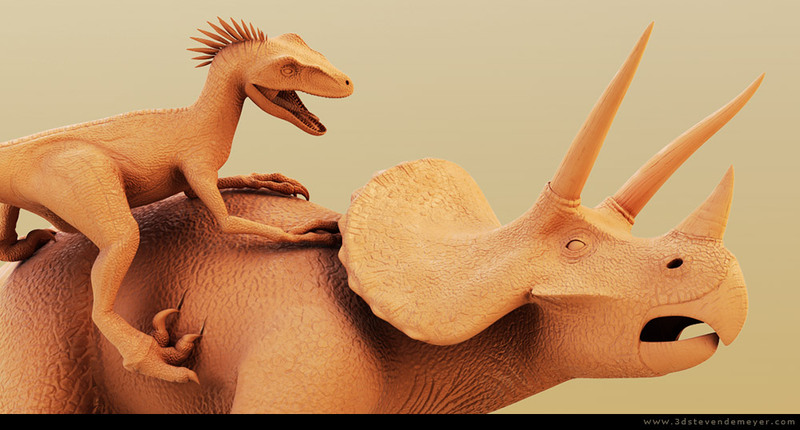 2048² textures 'Triceratops' : UV-layout, diffuse- and normalmap (baked in 3dsmax). shortfilm. (freework, as an entry for the 'Nikon film festival Belgium').